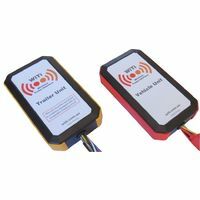 WiTi incorporates an innovative and world first anti-theft device specifically designed for caravans and camper trailers. 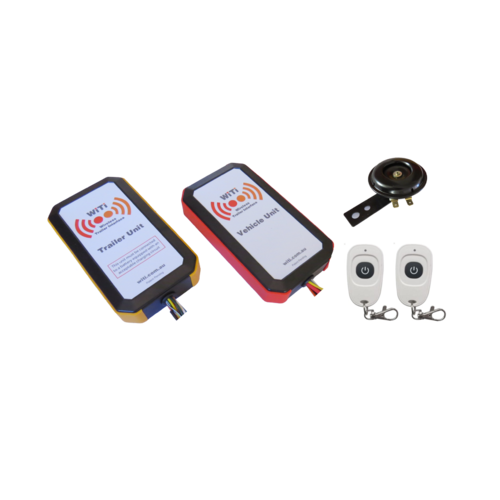 If an attempt is made to steal a caravan or trailer, WiTi will detect movement via a highly sensitive gyroscope. The system immediately applies the brakes to prevent the caravan or trailer from being towed, as well as flash all the external lights and sound a 105db alarm. The caravan is completely immobilised and impossible to tow. The siren will cease after 30 seconds and WiTi will re-enter monitoring, repeating the cycle if movement is detected again. WiTi is sensitive enough to detect an attempted break-in. Sharp knocks and bangs such as trying to force entry into tool boxes or force open doors are detected and will set off the alarm. 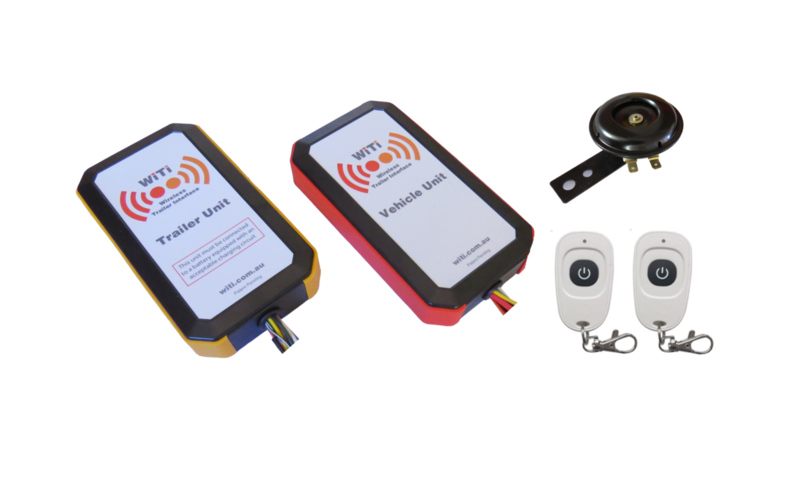 WiTi is more than a deterrent it is the only anti-theft system that totally immobilises a caravan or trailer. 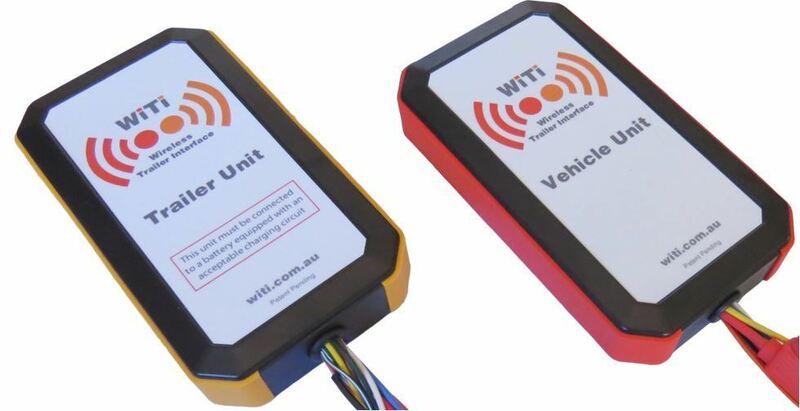 WiTi consists of two units, a sender unit in the vehicle and a receiver unit in the camper trailer or caravan. The units are permanently paired with each other and communication between units is fast, secure and stable. Multiple trailer units can be paired to a single vehicle unit for those customers looking to tow multiple trailers such as a boat as well as a caravan. In this case the vehicle unit will pair to the trailer unit nearest to it or the strongest signal. Driving lights, indicators, brake lights and electric brake controller signals are all transmitted to the trailer / caravan. WiTi supports all types and brands of modern brake controllers. 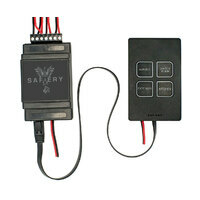 WiTi takes the output from the brake controller and transmits it to the trailer / caravan. All modern brake controllers available in Australia have been extensively tested and will operate seamlessly with WiTi. Older style RedArc controllers will require an inline resistor to be fitted on the Vehicle Unit and connected between the blue brake wire and white earth wire. WiTi features a low voltage alarm. 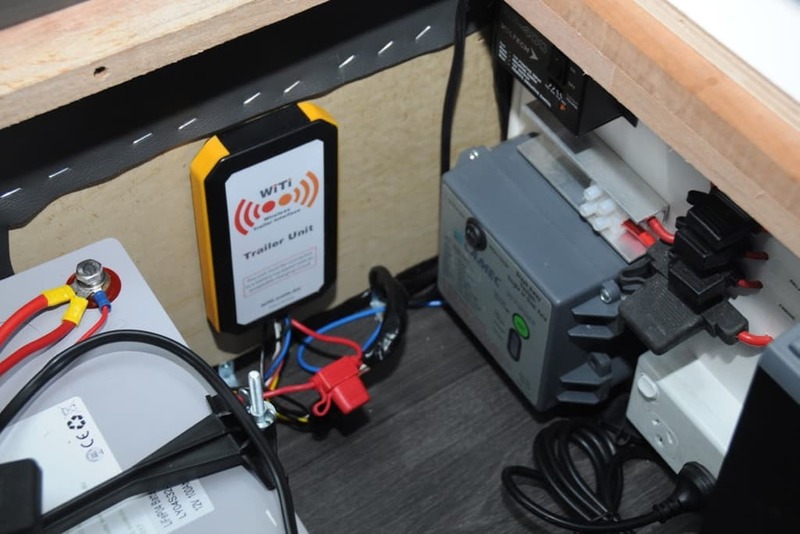 If the voltage drops below 11.5V on the battery in the trailer or caravan an alarm will sound and the trailer lights will flash to alert the driver. WiTi provides an optional integrated break away system that complies with ADR38/04 and New South Wales VIB06. WiTi provides the added benefits of proportional braking to bring the caravan to a stop safely as well as activating the brake lights to alert other motorists. Wind or gentle movement will not activate the alarm. WiTi is sensitive to two types of movement, sharp knocks and forward or backward acceleration. In practice you can walk around inside your caravan without the alarm being triggered but if you were to slam a door or bang on the side of the caravan or trailer this sharp knock would trigger the alarm. Moving the caravan forwards or backwards, as in an attempt to steal the caravan, will also trigger the Anti Theft system. What if someone else needs to tow my van? If your caravan / trailer needs to be towed by another vehicle then the anti-theft system will need to be deactivated by pressing the button on the remote control. 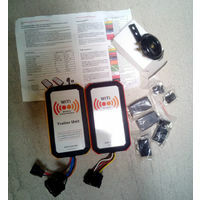 An option is to leave the existing wiring harness in place and add the Wireless Interface in parallel then both the fixed wiring harness and the Wireless Interface can be used depending on the tow vehicle. In standby mode and with the alarm and anti-theft system activated, WiTi will draw 0.08A. On a 100 A/Hr battery WiTi will be operate for approximately 1 month without the battery receiving any charge. In normal conditions and whilst travelling WiTi will draw very little additional current over existing lighting and braking requirements. 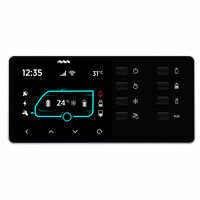 A solar panel connected to the house battery will provide more than enough power to maintain charge on the battery and operate WiTi whilst travelling. How does the WiTi break away system work? WiTi already manages the electric brakes for the anti-theft system and the braking function via your existing brake controller. Adding break away functionality was a natural progression. 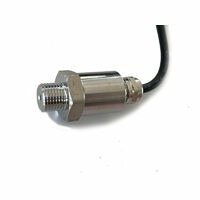 To activate the break away system, a standard break away switch needs to be installed onto the caravan or trailer. The WiTi break away then operates as any standard break away system does by applying the brakes in the event the caravan separates from the tow vehicle. Although the function can be retro-fitted it will require the removal of the Trailer Unit which must be returned to us for re-programming, we recommend the break away function is included at time of purchase. 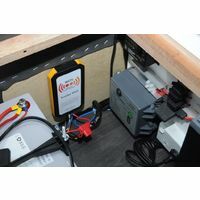 A low voltage alarm is included and activates when the voltage of the battery in the trailer / caravan drops below 11.5V. 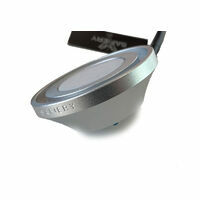 The low voltage alarm uses the same alarm as the anti-theft unit. Installing WiTi is as easy as wiring a standard 7 pin connector and connecting up to 12V power. The vehicle unit can be installed anywhere within the tow vehicle although the boot or rear of the vehicle makes most practical sense as it is closer to the existing trailer wiring loom. The trailer unit can be installed in any convenient location in the trailer or caravan and must be wired permanently to the house battery. The battery must be connected to an acceptable charging circuit whilst travelling, either fixed solar panels or Anderson plug. The trailer unit should be installed vertically with the wires protruding from the bottom of the casing as WiTi uses gravity to initialise and manage the anti-theft system. If not installed vertically the anti-theft functionality could be compromised. When installing the Anti Theft system with no Wireless Interface then as little as four wires need to be connected. Firstly the main 12V+ and NEG wires to the battery in the caravan and then the blue wire to the electric brakes and the brown wire to the driving lights. The driving lights are used as this will also flash the front and side markers during activation and de-activation as well as if the alarm is triggered. 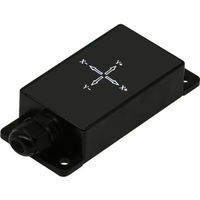 The left and right indicators can also be connected and will flash with the driving lamps, this is optional. 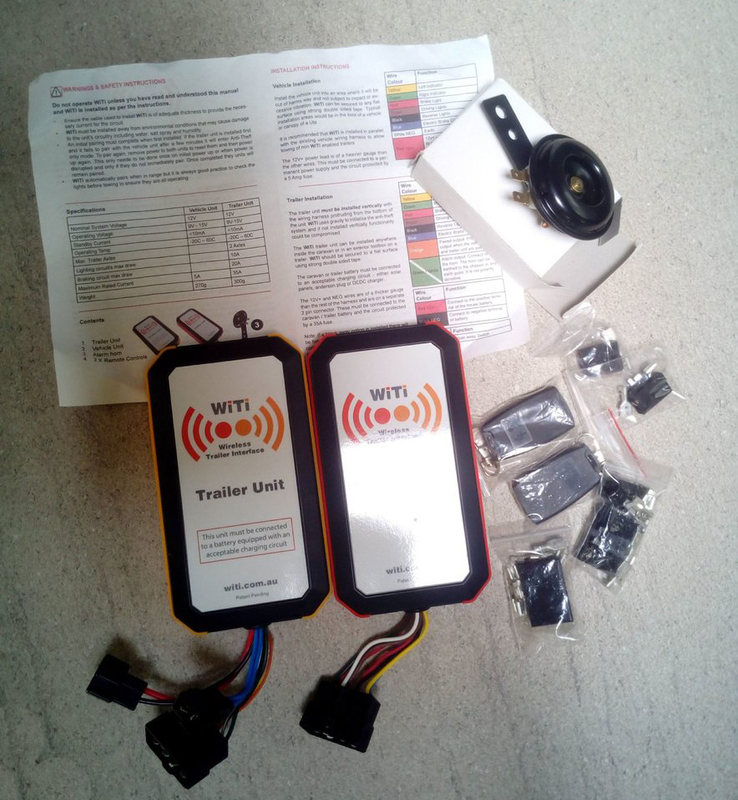 The trailer unit should be installed vertically with the wires protruding from the bottom of the casing as WiTi uses gravity to initialise and manage the anti-theft system. If not installed vertically the anti-theft functionality may be compromised. * Note : If you are unsure of how to install trailer harnesses or 12V devices then please consult your nearest caravan / trailer repair centre or auto electrician.